Many of your questions have already come up in the past, and some practical tips can be given online. Though these notices make no claim to completeness, they show the way to the correct solution in many cases. Simply select the product category that you need and the topic that you want to find out more about. However, our online help does not cover all individual cases or take into account the conditions at the customer. This means that a solution other than the one shown here may be successful in certain cases. Do you have any other questions? If so, feel free to contact us at any time via our technical service department. How can you uninstall the fixtures from the Axor collections Axor Terrano, Axor Carlton, Axor Citterio, Axor Citterio M, Axor Montreux, or Axor Uno? The fixtures for the Axor lines Axor Terrano, Axor Carlton, Axor Citterio, Axor Citterio M, Axor Montreux and Axor Uno can be uninstalled by pushing a pin through the hole using a thin object (e.g. a 2 mm Allen key), while simultaneously pulling the holding part forwards. Lotion dispenser does not dispense lotion any more. What can I do? If you have not used the dispenser for a while, the lotion may have dried out and gone hard in the pump. Clean the lotion dispenser pump by soaking in hot water and rinse out afterwards. Can the connection hoses be replaced on standard faucets? The hoses can be replaced on all standard faucets (lavatory mixers, bidet faucets and kitchen faucets). Please refer to the installation manual enclosed with the spare part for how to dismantle the faucet hoses. How can screw-in hoses that have been too tightly screwed into the base unit be dismantled? The screw-in hoses are only screwed into the faucet unit from below by hand using a low tightening torque. If the hoses cannot be easily unscrewed by hand for disassembly, there is the option of inserting welding wire, for example. The welding wire stops the hose from turning which makes it easier to dismantle. Now dismantle the hose together with the welding wire. How are the supply hoses replaced on the Axor Arco lavatory mixer? The supply hoses are screwed into the lavatory mixer from below without any extra tools (right-hand thread) and are sealed using O-rings. To replace them, the old hoses are unscrewed (counter-clockwise) and the new hoses (no. 94071000) are screwed in clockwise. Can the lever/cross handles on Axor Citterio faucets be aligned horizontally or vertically? You will find the precise procedure in the relevant installation manual. CoolStart faucets: Why is it possible to move the handle slightly further to the right of the center position? In order for the faucet to be opened and closed exactly in the center, tolerances on the base set, cartridge base and the cartridge itself have to be taken into account. According to the recess in the base set where the cartridge base is fixed, the tabs on the cartridge which mesh with the base and different torques on the clamping nuts, the cartridge turns to the right to some extent when it is fastened in place. These tolerances have been taken into account and thus result in a slight play to the left. If this was not the case, then it could occur that the handle is not in the center when in the cold water position. It is thus still ensured that only cold water flows when the user opens the faucet in the center position. When the faucet is not under pressure, the non-return valve cartridge is leaking on the angle valve. What can I do? Electronic faucet: After commissioning, no water is running at the electronic wall-mounted lavatory faucet. What are the possible reasons for this? Why is the electronic faucet buzzing or whistling in the waiting position? The non-return valves which are located in the flow direction after the connection hoses are damaged and overflowing. The non-return valves must be tested and replaced, if necessary. You will find the appropriate spare parts number in the relevant installation manual. Electronic faucet: How can I use special functions such as continuous flushing for thermal disinfection, the hygiene function or the adjustment of the sensor range? The various options are described in the installation manual, which is enclosed with the product or can be downloaded in the electronic spare parts catalog. Electronic faucet: How can I activate the cleaning mode on the faucet so that the sensor is not triggered and the vanity can then be cleaned, for example? Activation of the cleaning mode is described in the installation manual, which is enclosed with the product or can be downloaded in the electronic spare parts catalog. On electronic lavatory faucets, angle valves with fine filters are included in the delivery scope. Do these also have to be installed? The enclosed angle valves must be installed in order to prevent incoming dirt from the water mains. Incoming dirt can affect correct functionality and/or result in damages to the faucet parts. Damages arising from this are not covered by our warranty. How do I dismantle the M3 or M2 cartridge? Dismantle the handle plug to remove the M3 or M2 cartridge. Release the handle using a 4 mm Allen key and remove it. Unscrew the escutcheon and screw the cartridge nut down using the Hansgrohe service wrench or a 36 mm open-end wrench. The cartridge can now be removed. Installation is carried out in reverse order. A detailed installation manual is included with the spare part. This not only includes the description but also illustrations. The swiveling shaft on the kitchen faucet is leaking. What is the reason for this? The seals on the swiveling shaft of the faucet are dirty or damaged. The steps required for replacing the seals can be found in the corresponding installation manual enclosed with the spare part. Ensure that the lip seals of the seal set are not greased too heavily. I only get a low water flow from the kitchen faucet with pull-out spray / pull-out spout. What can I do? Between the pull-out hose and pull-out spray, there is a small filter screen inserted into the pull-out hose connection fitting. Remove this using a sharp object, clean it and reinsert it. The two jet types converge on the Axor Steel handshower. How can I remedy this? Replace the handshower. This cannot be repaired by customers. Kitchen faucet: I keep seeing small amounts of water and bubbles in the area around the handle of the Axor Starck 10820XX1 kitchen faucet. What can I do? This is probably just water that has collected in the area around the handle following operation with wet hands. When hot water flows in particular, this collected water expands and escapes in the form of bubbles. Remove the excess water from the gap, ideally with a cotton cloth. The swivel spout on the kitchen faucet leaks. What can I do? If water leaks at the bottom after the faucet is opened, the seals must be replaced in order to properly seal the swivel spout. Follow the instructions in the corresponding installation manual for your model when replacing the seals. Kitchen faucet: How do you move the Talis S HighArc and Talis S Prep with pull-out spray kitchen faucets when you need to open the window? Hold the base unit of the faucet (i.e. not the spout), pull it vertically upwards, then lay the faucet down sideways on the countertop (on a cloth or similar). Mixer ball technology: Does the control ball have to be replaced when the mixer ball system is serviced? The stainless steel control ball does not have to be replaced. Any deposits can be removed easily from the control ball using a synthetic cleaning cloth for example. How can I service a faucet with mixer ball technology? The different ways of dismantling the individual faucets are described in the corresponding installation manual for the spare part. ATTENTION: The service grommets are installed WITHOUT springs. How can I clean the grommet seat or seal off the old faucets with mixer ball technology? Use synthetic fleece to clean the grommet seats in order to avoid surface damage. Instead of standard springs and grommets, please only use the service grommet which is included in the delivery scope with each service set no. 13952000. The faucet or shower drips after use. What can I do? 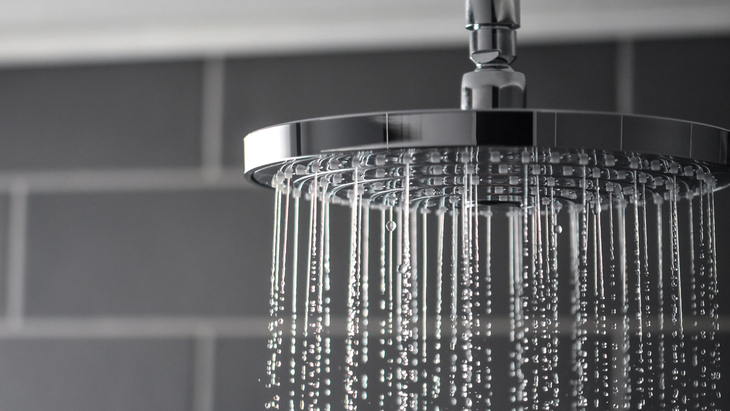 Brief dripping after use is physically required on faucets and showers, and does not indicate a product defect which would justify replacement of the fittings or a warranty / guarantee claim. Why does the shower hose not slide well in the Secuflex? In most cases, lack of movement is due to dirt in the Secuflex hose. We recommend completely dismantling the Secuflex from above and cleaning the inner hose and protective hose. Rub the inner hose with a silicon cloth and pull the cloth several times through the protective hose. Another option to ensure functional ease of movement is to spray the shower hose with silicon spray. The silicon film minimizes friction and prevents deposits. The faucet is leaking at the fixation set point. What are the possible causes? The connection hose was unscrewed during installation and the O-ring may have become damaged. When connecting to the angle valve, it is important to hold the hose in place using an open-end wrench according to the instructions in the installation manual. Otherwise, the hose may have become unscrewed from the faucet body. Before tightening the spout nut, screw the hose back into the faucet body and observe the necessary steps in the enclosed installation manual. The O-ring may also need to be replaced. Can the hot water temperature be limited on Hansgrohe faucets? The maximum hot water temperature can be limited on Hansgrohe faucets with ceramic cartridge M1/M2/M3 (not on joystick cartridges) and on all thermostats. You will find the precise procedure in the relevant installation manual. Lavatory faucet: Despite replacing the cartridge, the spout on the new wall-mounted faucet is leaking. Can I change the angle of the water jet on a Hansgrohe vanity mixer? Hansgrohe offers an optional swiveling aerator (article no. 95400000) with a M24x1 external thread. This can be used to adjust the water jet in all directions by approximately 8°. The replacement process and functionality are shown in this video. What should be done if water is leaking at the diverter on my concealed faucet? Clean the pull rod and the O-ring of the diverter and grease it with silicon grease. The silicon grease improves the sliding behavior of the O-ring and also gives extra sealing. Is there somewhere I can test the products without obligation? In the Hansgrohe Aquademie, we show you a cross-section of our current products and collections from the Hansgrohe and Axor brands. In the Showerworld, you can test out the Hansgrohe shower experience for yourself and have lots of fun doing so. Find out here where else in your area you can test and experience Hansgrohe products. Where can I get brochures? You can download brochures on Hansgrohe products directly via our homepage or request them using the order form. How long can I buy spare parts for an item once it has been discontinued? We guarantee the availability of spare parts for ten years after the product in question has been discontinued. Where can I find information on spare parts? You will find spare parts with the appropriate item numbers both in our electronic spare parts catalogue and in the installation manual supplied with each product. If you have any other questions, please use the contact form to get in touch with our technical service department. What option is available to secure/stabilize a long showerarm better? An additional mounting plate is enclosed with each 1/2" and 3/4" showerarm for better installation. How do I install a wallbar in the corner? The steps for installing a corner mounting set are shown in this video. Flow performance: The flow performance of the shower is too low. What are the possible reasons for this? The shower may be calcified or a filter screen may be dirty. The exact procedures for both decalcifying the shower and cleaning the filter screen are clearly depicted in the enclosed installation manual. For more information on your product, please refer to our electronic spare parts catalog. The cleaning process is shown in this video. The shower itself may also be calcified. Tile spacing: Why is a light-gray plastic tile spacer included with the shower set, and not a chrome-plated one? The light-gray plastic tile spacer has proven to be visually appealing on a range of different materials. However, it is not required in most installation situations and is usually thrown away by the customer. In order to protect the environment, it is Hansgrohe’s goal to forgo unnecessary chrome plating right from the product creation phase on. If you require a chrome-plated tile spacer, then this is available to order as a spare part. You can find the corresponding article number in the installation manual or spare parts catalog. Tile spacing: What is the elongated plastic disc that is enclosed with the shower sets used for? Not all bathrooms are tiled to the full room height. For this reason, it is sometimes necessary to compensate for the thickness of the tiles. In such cases, the plastic tile spacer can then be used. The spacer can also be stacked when needed. Where should I install the holder for the handshower on the bathtub? The handshower should be installed so that it can be reached without any problem. You should be able to wash your hair while sitting, without having to hold the handshower. What should be done if water is leaking at the air intake nozzles on the Raindance Imperial? The spray disc or the boreholes in the air intake nozzles are calcified/soiled. Please rub the jets (QuickClean) with a cloth and then unscrew the air nozzles (6 mm Allen key). Clean and descale them and screw in the air nozzles again gently (do not tighten them fully). What installation is required to connect a Raindance Imperial? Different variants can be used to install a Raindance Imperial. For more information on installation, please refer to the corresponding installation manuals for the Imperial (square), Imperial (round) and iBox Universal products. Which wall connection is required for the Raindance Royale overhead shower? A NPS 20 (3/4") female thread is required for connection. Attention: For lightweight constructions/stud walls, a wall or ceiling reinforcement must provided in the area of the overhead shower connection! The Raindance Royale overhead shower including showerarm weighs about 20 pounds. Can the riser pipe on the Hansgrohe showerpipes also be shortened? Depending on the model, the riser pipes can be adjusted according to the available space and shortened when required. Round riser pipes can be shortened. Square riser pipes are available in different lengths. For more information, please refer to the enclosed installation manual. Why should a sealing screen be installed between the shower hose and handshower? Sealing screens, which are included with each handshower, must not be replaced by normal seals. Otherwise, the dirt filtered out in the filter screen gets washed into the mechanics of the shower. This leads to the QuickClean cleaning function breaking down or the sprays becoming clogged. Can the Unica`D replacement slide also be installed on older wallbars? What installation is required to connect a Raindance Rainfall? There are different options for installing a Raindance Rainfall. For more information on installation, please refer to the corresponding installation manuals for the Raindance Rainfall and iBox Universal products. Why does the keypad of the showerpanel not light up correctly and it is not possible to adjust the motor? If this error occurs with a newly installed showerpanel, then it is highly probable that an incorrect transformer (electronic transformer) has been installed. Remedy: Exchange the installed transformer with the one originally supplied. Why can the Lift showerpanel not be raised or only be raised with difficulty? I would like to install a showerpipe, but the bathroom is not fully tiled. Is there a solution for this? A tile spacer for showerpipes is available, which gives 7 mm adjustment. The corresponding item number can be found in the relevant installation manual. A height-adjustable slide is required for the Axor showerpipe. Is this possible? Yes, the diameter of the riser pipe is 22 mm. This means the Unica`S slide no. 97651000 or the Unica`S slide no. 28672000 will fit. Slide no. 96505xxx can be used for special surfaces. How long is the warranty period for Hansgrohe products? If a consumer purchased the product for primarily personal use, family or household purposes, this warranty extends for as long as you own the product and the home in which the product is originally installed. If a customer purchased the product for use primarily for any other purpose, including, without limitation, a commercial purpose, this warranty extends only (i) for 1 year, with respect to Hansgrohe & Commercial products, and (ii) for 5 years, with respect to Axor products. Does Hansgrohe offer a guarantee voluntarily in addition to the legal warranty? Top quality is a fundamental component of Hansgrohe’s company philosophy. We therefore offer consumers a five-year voluntary manufacturer’s guarantee on our products. You can find the prerequisites and details of this guarantee in the Warranty Section. Is the manufacturer’s guarantee for the product invalidated when service parts are replaced? Among others, an essential prerequisite for maintaining our guarantee conditions is the professional installation of the product. When replacing spare parts, this process is detailed in the service instructions. We have compiled further information on this subject in our guarantee conditions. Sealing: Do I also have to seal the wall openings and joints? Incorrect or missing waterproof joint sealing on installation openings can cause significant damage to the building structure as a result of water penetration. The joints on concealed faucets and pipe openings must be given a permanently elastic seal, for example with sealing sleeves and the use of a suitable silicone sealant. This must be made in accordance with DIN 18195/Part 5 (waterproofing of buildings – waterproofing against non-pressing water on floors and in wet areas; design and execution). Screw holes must also be protected against penetrating moisture by using additional silicone sealant. You will find more information in the installation manual included with the product. Can the iBox also be installed horizontally into the edge of the tiles? Yes, the iBox Universal can also be installed horizontally into the edge of the tiles. Horizontal installation is not possible in conjunction with a function block with safety combination. iBox Universal: Why are the carrier screws for the carrier flange on the iBox Universal made from plastic and not metal? Due to safety-relevant aspects, the carrier screws are made specially from plastic. The most important aspect of the iBox is that it is completely watertight against the masonry. Therefore, the fastening points for the carrier flange in the iBox are equipped with injected brass bushings. If metal screws were then screwed into these brass bushings to fasten the carrier flange in place, then the brass bushing may be pulled out or the iBox may tear in the wall if the screws are tightened excessively. This has to be avoided at all costs. For this reason, these plastic screws are used instead as a breaking point. The plumber sees that plastic screws are used and thus does not tighten them excessively during installation, which is the intention. If any part should break due to excessive tightening, then this is the plastic screw. The screw can be replaced easily. No permanent damage can occur to the iBox. It is important to shorten the plastic screws to the required size (tension length + 10 mm) before insertion using a side cutter, for example. If the plastic screws are inserted to their full length despite this not being necessary, then this may lead to problems when removing the screws during a subsequent service. How are the pipelines flushed on the iBox Universal? Flush the entire installation. The arrows on the flushing block show which inlet is connected with which outlet pipe, e.g. cold water with outlet 1 (bottom) and hot water with outlet 2 (top). If only one outlet is required, turn the flushing block by 90° after the first flush. How is the iBox Universal connected (cold/hot water)? Position the iBox with the outlets horizontal and vertical. Make sure that the sticker with the min/max labeling is upright. It is important that cold water is connected on the right and hot water is connected on the left. Also make sure that the lower outlet is always connected first. iBox Universal: What are the four tabs on the front of the iBox Universal used for? A spirit level can be laid on the iBox with the help of the four tabs, thus enabling perfect alignment of the product. How do I clean my Hansgrohe products correctly? We have compiled information on maintaining the sheen and function of Hansgrohe products for the long term: To the cleaning recommendations. Can the complete overhead shower be washed in the dishwasher? The two-hole thermostat buzzes and does not maintain the temperature. Why is that? The non-return valve under the control unit is not installed. Please install the non-return valve. Is there a mounting base for the two-hole bathtub thermostat? No, there is no installation plate or mounting base for installing on a tile edge. It is better to place the thermostat directly into the bathtub rim. If this is not possible for technical reasons, then the thermostat can be installed in a marble plate, for example. It is not necessary to access the base unit under the bathtub rim during servicing. The handle of the shut-off/diverter valve on the thermostat is stiff. How can this problem be rectified? There are several possible reasons for the handle being stiff. For example, deposits on the sealing surfaces may lead to stiffness. Please replace the component according to the enclosed installation manual. For more information, please refer to your installation instructions, you can also find them online by searching for your specific product. Is there an exposed thermostat or a special control unit for reversed connections? No, there is no exposed thermostat for a reversed cold/hot water connection. There is also no control unit available for reversed connections. With a shower thermostat, the only option is to install it turned by 180° so that the connection for the shower hose points upwards. Is there a concealed thermostat or a special control unit for reversed connections? The function block can be easily turned by 180° on a concealed thermostat from Hansgrohe. You do not require any additional components, except for the thermostat during shut-off and change-over. This requires a differently printed escutcheon. Simply dismantle the visible parts during conversion and release the four mounting screws on the function block after shutting off the water. Turn the function block by 180° and reinstall it. When installing the thermostat, the outlet temperature is no longer correct. What can I do? Correction is necessary if the temperature measured at the faucet differs from the temperature set on the thermostat. Take note of the following: Turn the scale handle until water is discharged at the faucet at the desired temperature (38°C). Release the handle screw, pull the handle back and turn to 38°C. Then replace the handle and tighten the handle screw. The button on the safety lock of the thermostat handle sticks. What can I do? Why does the handle jam after assembling a trim set? The spindle adapter (plastic sleeve with the smaller diameter) is too long. Saw off the spindle adapter to the length as stated in the installation manual. Which control unit do I need as a spare part for the Highflow concealed thermostats on the iBox Universal? Control unit no. 96633000 is required as a spare part. After installation of the ShowerSelect or ShowerTablet, the button cannot be pressed or has no function. The green safety clamp was not removed from the valve when the faucet was installed. Dismantle the visible parts and remove the clamp. Are there high pressure surges in the pipeline when closing the ShowerSelect products? Can I set the water volume on the ShowerSelect products? Following installation on the thermostatic faucet, only cold or hot water is flowing out. What is the reason for this? One possible reason for this is that the connections for hot and cold water have been reversed. The hot water connection must be made from the left and cold water connection from the right. On the iBox Universal, this can be checked easily using a central thermostat. Functionality is still maintained despite the reversed connections by rotating the function block 180°. Why can the water not be opened/closed or changed after installing the operating handles? The handle can still be turned, but without function. However, in this case the spindle adapter (plastic sleeve with the smaller diameter) has been sawn off too short. You will find the spare parts number for the correct threaded sleeve set in the relevant installation manual. The mounting screw is missing on the replacement handle for my concealed thermostat faucet. How do I install the handle correctly? Since 2012, the thermostat handles are snapped into place. The mounting screw is no longer necessary. Handles are now only snapped into place, and can be removed again at any time with a firm pull.